Most people visit the Vendée primarily for the weather (2nd highest number of hours of sunshine in France), the beaches and of course the wonderful local food but during their stay they invariably visit one of the many historic castles the region has to offer. 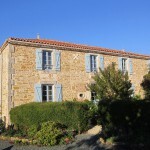 The Vendée is rich in history with several notable periods over the last thousand years. Today we look at some of the castles that figured in its medieval history. This 13th century château was a castle once owned by the infamous ‘Bluebeard’ – Gilles de Rais and his wife Catherine Thouars. Catherine along with her daughters made the castle her main residence. 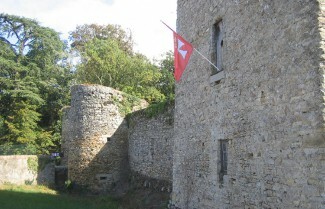 The château occupies a strong position overlooking the town of Pouzauges and although there is not much more than a keep (donjon) remaining today, if you climb the wooded staircases which have been installed to give access to the upper floors, you will be afforded wide panoramic views over the Haut Bocage countryside. As well as the impressive keep, which incidentally is one of the best preserved in the whole of the Vendée, there are 12 other towers indicating that this must have been considerably substantial fortress in its day. In the summer, there are torchlit tours of the town which start from the castle and also in July and August there are children’s treasure hunts which take place here daily at 3 PM. 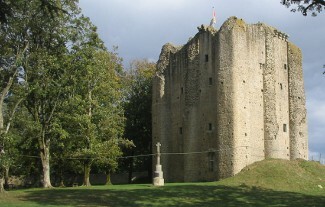 This 11th century château is to be found in the bocage region of the Vendée and today you will find here the ruins of a feudal castle which was once of considerable importance during the middle ages. There is an indication of this importance in that Henri de Navarre who later became King Henri IV is said to have stayed at the castle in 1588. The surviving parts of this once great castle fringe a grassy courtyard. There is a bakehouse and notably the 11th century Tour Sarrasine and of the main house, just one wall remains exposed to the elements displaying a Renaissance fireplace upon the second floor level. The Château des Essarts tends to only be open for visitors in July and August so do check before making the journey. Read more about Vendée history.